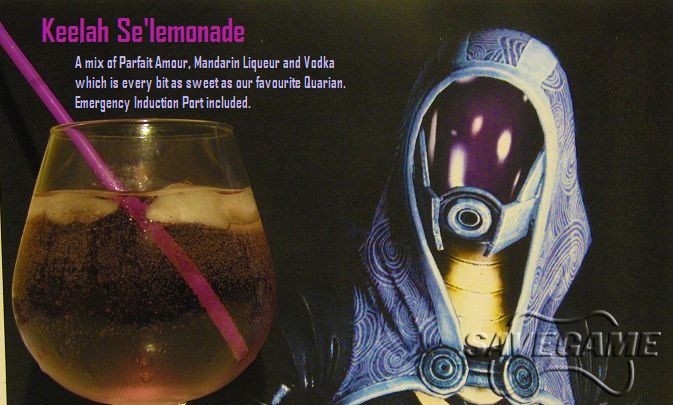 Enjoy the "Quad Kicker" and "Keelah Se'lemonade." 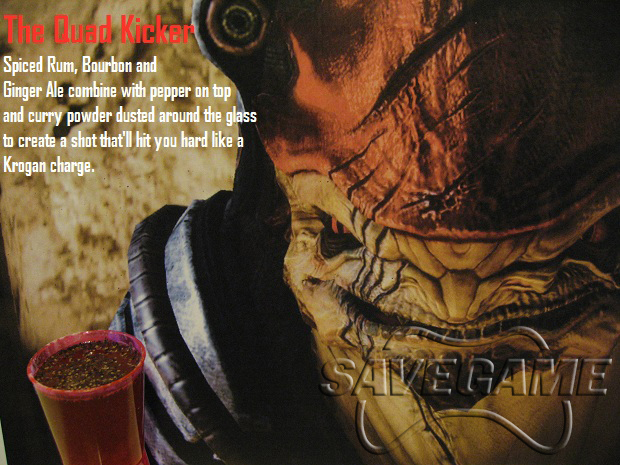 For many players, of the most beloved parts of BioWare's Mass Effect trilogy was the characters that shared the story with them. We all had our favorites, whether it was Garrus, Mordin, Garrus, Tali, Thane or Garrus, and getting to see how their stories continued - or didn't - through the trilogy practically validated the whole "continue your own save file" idea more than anyone else. Now, those characters can stay with you forever, and even longer when you count the hangover the next day. 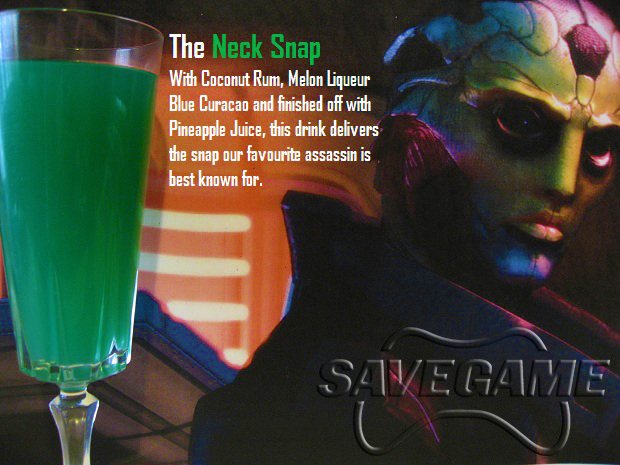 SaveGame took some time to concoct colorful cocktail creations representing every single Mass Effect squadmate throughout the trilogy, and the results seem magnificent. 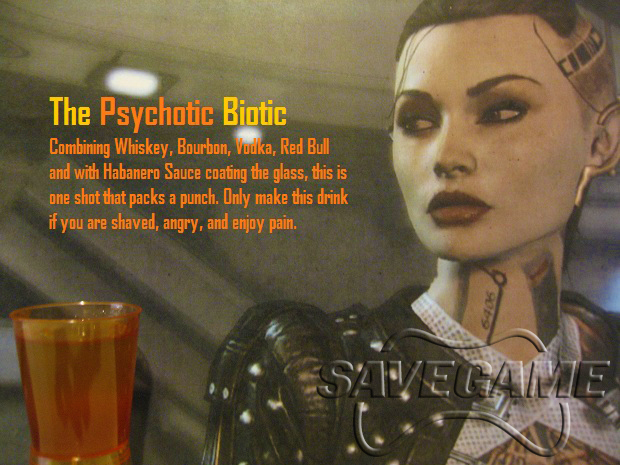 Jack's "Psychotic Biotic" is a shot of three different types of booze and Red Bull in a glass that's been coated with Habanero sauce - you know, to make it hurt more. 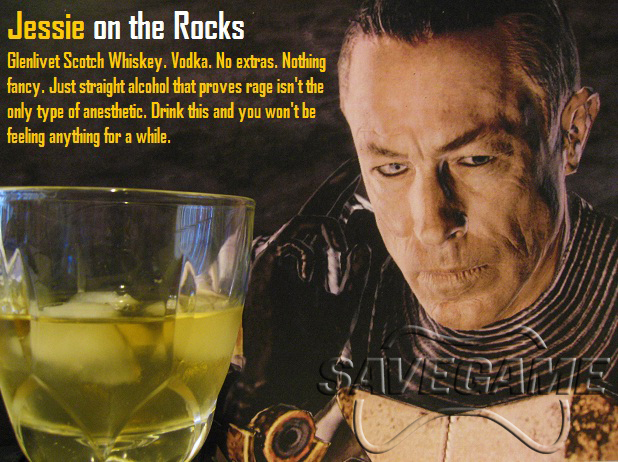 Zaeed's "Jessie on the Rocks" is just straight liquor, because that's how he rolls. 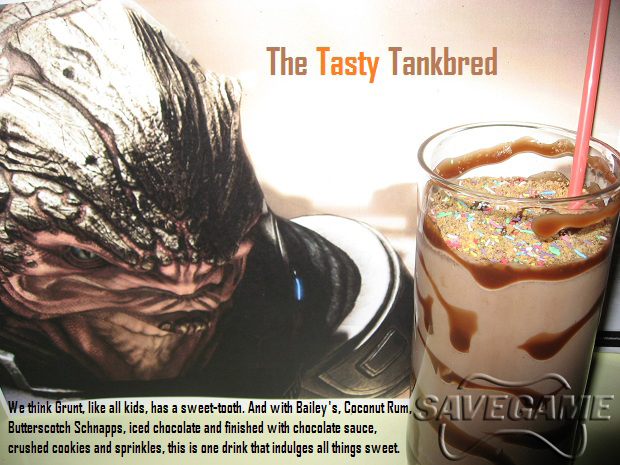 Garrus' "Heat Sink" gets the job done without worrying about pleasantries (like tasting good), and Grunt's "Tasty Tankbred" has butterscotch and chocolate in it because hey, when you get down to it he's really just a kid. 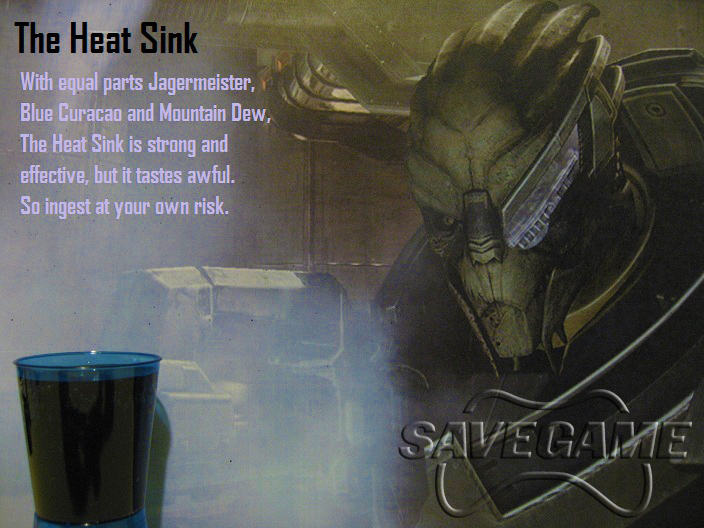 Kudos to the SaveGame folks for coming up with these - they're really creative and some of them actually look like they'd be fun to drink, too. 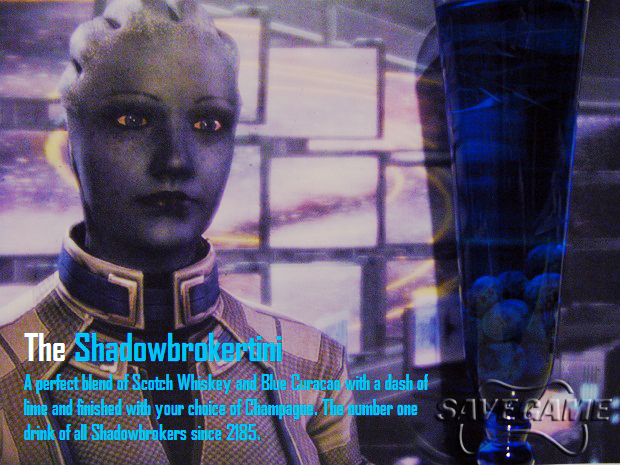 I think I've got the ingredients for a "Shadowbrokertini" downstairs, actually. 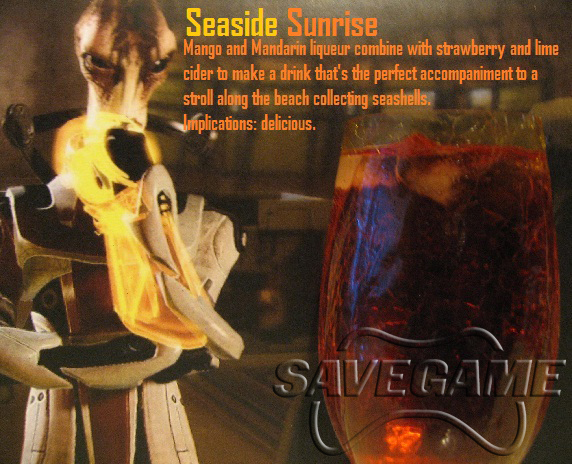 Drinkers beware: These cocktails may look appealing, but there's no promise they'll give your night a satisfying ending. 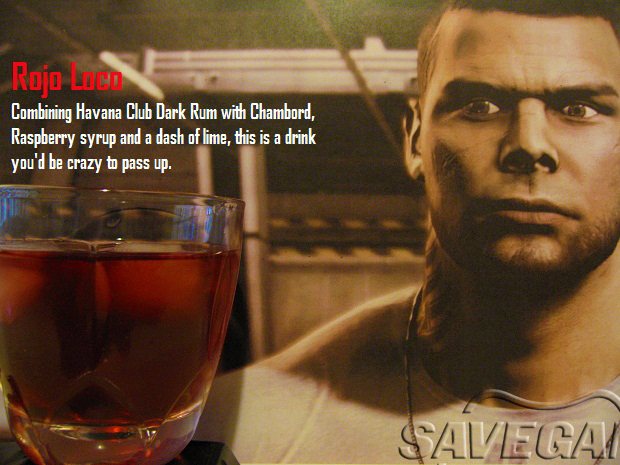 For the full list of squadmate drinks (and complete recipes/instructions for the ones seen here), head over to SaveGame.